involves racing against a clock and requires navigation using a map is a type of orienteering. 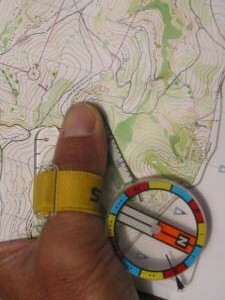 Orienteering competitions use specially prepared orienteering maps. They are topographic maps although much more detailed than general-purpose maps. The ISOM map scales are 1:15,000 or 1:10,000, with grids aligned to magnetic north. Map symbols are standardized by the IOF, and designed to be readable by any competitor no matter his background or native tongue. 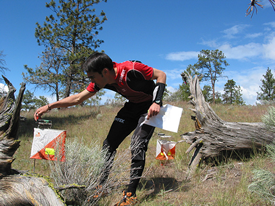 Orienteering events offer a range of courses, of varying physical and technical difficulty, to meet the needs of competitors. 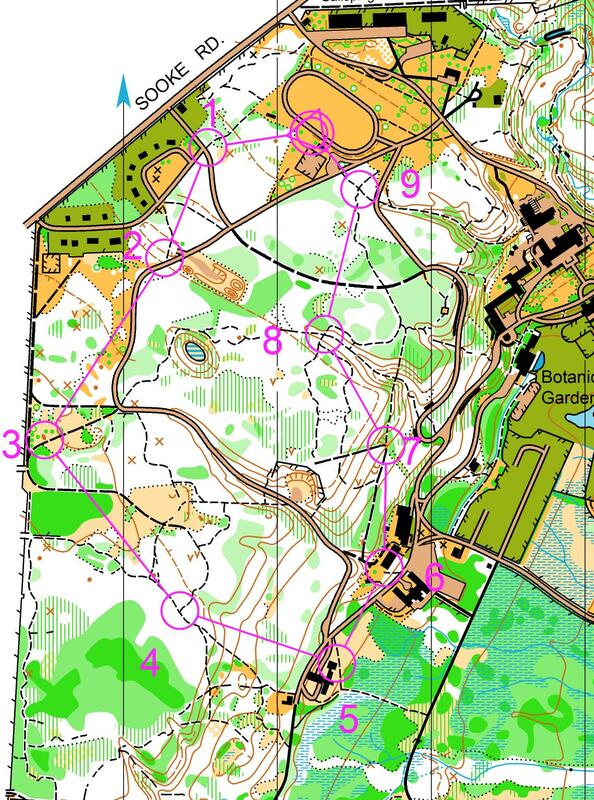 The orienteering course is marked in purple or red on a map. A triangle is used to indicate the start and a double circle indicates the finish. Circles are used to show the control points. Control points are placed on features on the map that can be clearly identified on the ground. Control points are marked in the terrain by white and orange "flags". Competitors receive a "control description sheet" or "clue sheet" which gives a precise description of the feature and the location of the kite, e.g., boulder, 5m, north side. For experienced orienteers the descriptions use symbols (pictorial), in accordance with the IOF Control descriptions. Each competitor is required to carry an electronic or paper control card, and to present it at the Start and hand it in at the Finish. The control card is marked by some means at each control point to show that the competitor has completed the course correctly. Most events now use electronic punching, although cards and needle punches are still widely used. Results The winner is normally the competitor with the fastest time, but other scoring systems can be used, e.g., score events and Trail-O. Most events produce provisional results 'on the day', with draft results on the Internet that night; the final results being confirmed a few days later. With electronic punching the results can include split times for competitors. These show the times between controls and aggregate times to each control. With suitable computer software these times can be displayed in a graphical form.